Paint the Miata. I think it's time to at least consider it. 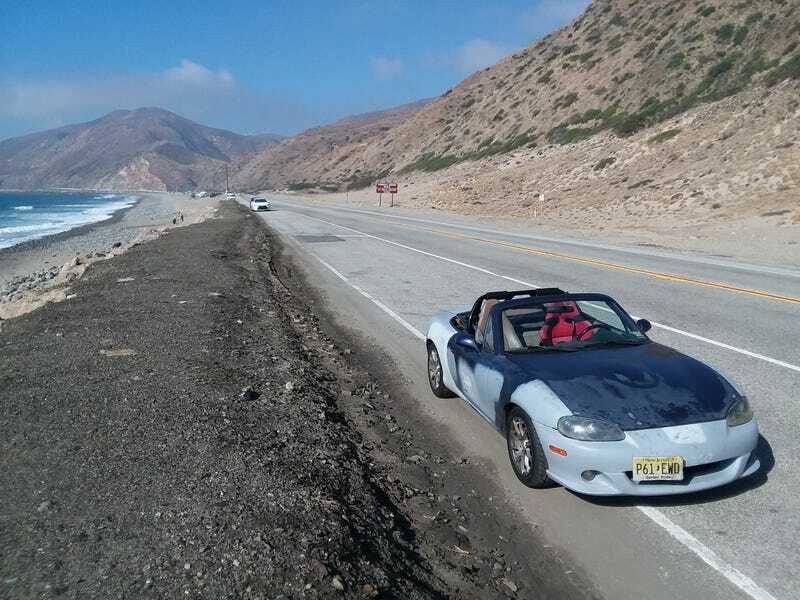 While I have been thoroughly enjoying thrashing my Miata around on the canyons of Malibu for the past few months and just ignoring the state of my paint, it has come time to finally start thinking about painting it. I would love to learn how to DIY paint the car but I really do not think that is practical without knowing anybody who tinkers around with that sort of thing and could teach me. Now that I have settled into my new home state and have my financials in order after the move, I think its about that time to find a paint shop. So, I am curious what the best way to search for a paint shop in the Los Angeles area is? Obviously I do not want to spend much but I also do not want to get a terrible paint job that falls off in 6 months to a year. I just haven’t the slightest idea where to start other than googling paint shops and reading some reviews. I am hoping to spend somewhere in the $1-2k range since all of my body work is already nice and straight and should be ready for paint after a nice cleaning and some sanding. I am wondering if there is prep work I can do to save more costs since I imagine there is a lot of taping involved and other junk which equals many hours of easy labor I could accomplish. The car will continue to be my track rat so I do not need a high-end $8000 paint job but it would be nice to have a reason to wash and wax the car again. I do plan on keeping the Miata pretty much forever so it would be a worthwhile investment. I need the paint to get back to nice and shiny like back in the day, but now without the godawful rocker rust that was easily hidden in photos. Or the giant dent in the rear quarter that is now nice and smooth. Plus all of my little upgrades that I absolutely love.